27/09/2018 was a proud day for Chinese and all Antwerpenaars when international diplomates got together in “Palace on the Meir”, a protected monument built in the 17th century, to witness the signing of MoU (the Memorandum (memorandum of understanding) by FEMOZA, Diplomatic World and EFTCC for the Diamond Silk Road train connection project. It is also the day when Chinese sculptor, YAN ShuFen’s outstanding sculpture based on the symbol of hand and pigeon available to the public in the Antwerp Central Station. The Antwerp Central Station is known as the most beautiful station in the world, built in 1898 and finished in 1905. 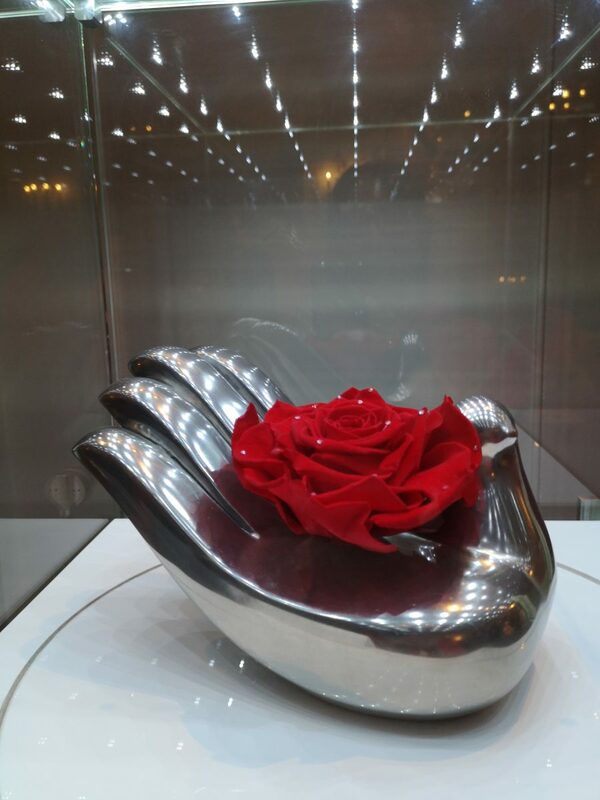 ShuFen’s sculpture “Hand of Peace” will be first displayed in Antwerp for one year and then tour to Shanghai and then return to her permeant home in Antwerp. Hand is a city symbol of Antwerp that has an amazing legendary story of why our beautiful city was named as “Antwerp (Antwerpen)”. The symbol of Antwerp Hand stands for FREEDOM, EQUALITY, LOVE, OPENNESS and FRIENDSHIP, these are what Antwerp standing for hundreds of year in Europe. The symbol of pigeon, as we know, of course, stands for universal beliefs in PEACE and HARMONY. The combination of these two symbols in one unique art work spells for hopes not only for economic, trade and industrial links, mostly it means to fulfill hopes and dreams of people from different cultures and nations to cooperate alone the modern Silk Road train connections in the One Belt One Road project. In the inauguration ceremony, it is very interesting what Mr. Ludo Van Campenhout, the Alderman of Antwerp City, mentioned in his speech that Antwerp has played an important role in the tea trade from China to Europe since 1720’s. Tea trade since the first Grand Silk Road in the East-Han Dynasty (25 – 220 A.D.) via land connected people and culture through trading; The route connected East with West stretched futher from land to sea via the Maritime Silk Road. Series of treasure voyages (1405 – 1433) lead by Admiral Zheng He in Ming Dynasty further lead to the connection from China all the way to Europe (to Antwerp) directly. Here I would also like to highlight another tea trade route that has almost dust sealed in history which was the Sino-Russia Tea Trade Route. Traders brought tea from Wuyi to Hankou (Wuhan, Hubei), then continue the journey through safari by camel to Russia. 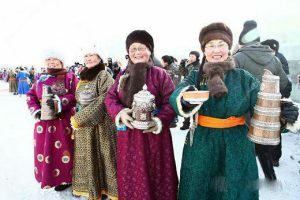 That Sino-Russia tea trade route brought Chinese tea to Russia via the Mongolian Plateau and the Siberian hinterland that spreaded tea seeds in different cultures alone the way. Tea trees grow slowly, so as to the integration of tea culture in human history; once tea seeds were embedded, another page of exciting story of tea culture began. The taller tea grees grow, the deeper roots go. That Sino-Russia Tea Trade Route definitely played an important role to bring tea seeds from Russia to Europe; tea drinking culture quietly integrated in East European cultures in the 18th to the 20th century. The Sino-Russia Tea Trade route completed a pocket for tea trade and cultural influence from China to Europe with the Maritime Silk Road. These significant historical Silk Roads plus tea trade routes built in the past over 2 century were able to stimulate the trade of Chinese tea from China to Central Asia then extended to Europe. Whether it’s by land or sea, what those trade routes were able to achieve not only significant economic growth through the exchange of merchants, they connected people across nations, overcome cultural hedges of languages and religions; most importantly, tea seeds were embedded and integrated in different cultures, a new tea culture was created in the world today. Tea is more than just a cup of delicious healthy drink, it reflects how we can live with peace and harmony in a collective society. 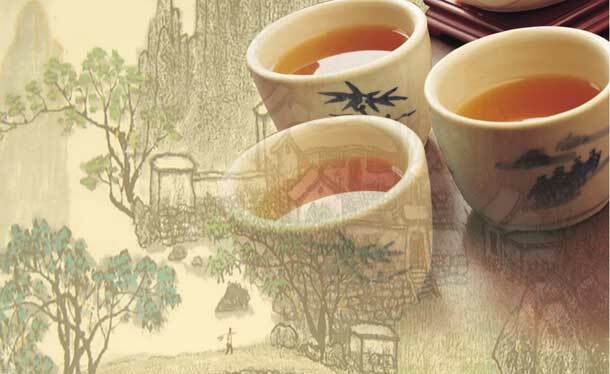 When examining the tea history in the past >3000 years, the rising curve matched with the improvement of common wealth, the national strength and culture development in China history. The Chinese historical learning curve enhances our hope for a better future in the time of change today. The undergoing modern Silk Road train connections is based on the One Belt One Road project will not only stimulate the growth of trade between East and West. The modern rail way engineering technologies and networks could broaden its impacts on economic, political and cultural exchange. The Diamond Silk Road train connections from Shanghai to Antwerp will boost the economic growth through trade across continents from the North Sea to Pacific and will further enhance the understanding and connections of people, especially the future generations and cultures, to shortern the distance between Europe, Africa, Central Asia and China. The Diamond Silk Road aims to stimulate the free trade development across continents, mostly hope it will bring the vase diversity to become a better collective continent for PEACE, HOPE, HARMONY and PROSPERITY. Certainly we hope the train connections can more efffectively deepen the connection of cultures, not only for tea trade but can enrich the connection of people across cultural barriers, stimulate the humanitarian communication and respect through a cup of tea. When China President Xi Jinping first mentioned the concept of the One Belt One Road to build the “Silk Road economy together” during his visit to Kazakhstan in September 2013, at the first many thought it was just a political slogan and there were many doubts about its feasibility. With the serious investments, agreements and railways structures, more and more nations realized “One Belt One Road” is not a slogan but a real deal, economically and politically. More and more nations want to join tge train of prosperity. Even though the cloud of suspicious, questions, even worries are not yet completely removed today, but obstacles are removing aside gradually, because the benefits of mutual economic growth are hard to ignore. As we can imagine there are still many challenges are slying ahead before this gigantic One Belt One Road project; there are still plenty political, train network engineering, customs clearance, border control issues should be overcome through complex negotiations. However, the hopeful sphere is enriching everyday and hopefully we can celebrate a bigger ceremony for the inauguration of Diamond Silk Road train connections between Antwerp and Shanghai soon.